In a 9” x 13” (23 cm x 33 cm) baking dish, make cheesecake according to package directions. 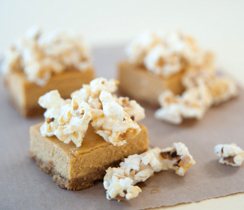 Cool, and cut into 2-bite squares. 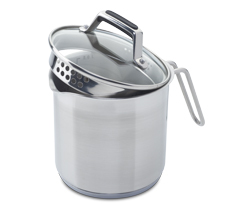 While cheesecake cools, in Multipurpose Pot - 8 C, combine sauce ingredients. Bring to a gentle boil over medium heat for 3 minutes. Fold sauce into popcorn. Once cooled, crunch up into slightly smaller pieces. Sprinkle on top of the cheesecake squares, and serve. 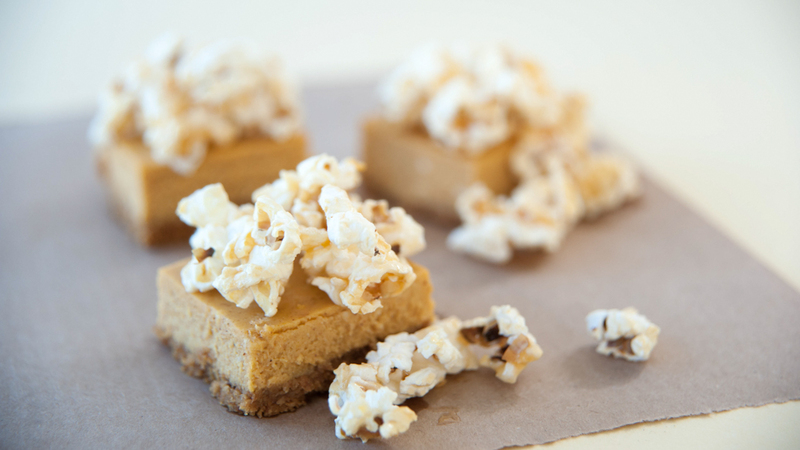 Chef Tip: Gently press caramel popcorn into the cheesecake, so it adheres better. For crunchier popcorn, spread carmelized popcorn on Sheet Pan lined with Bake & Roll, and toast for 10 minutes in a 300° F (150° C) oven.